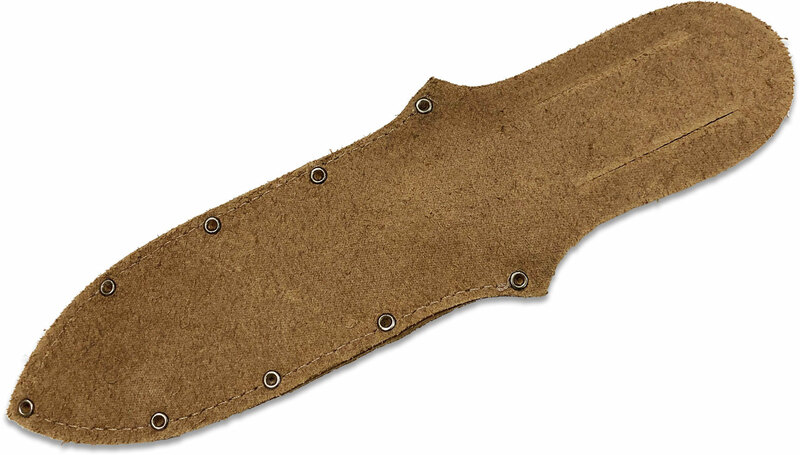 Skinning Knife with 12 gauge (2.8 mm) 4.25" blade made from 1095 high carbon steel available in a variety of richly grained exotic hardwoods. These scales are oiled Zebrawood and attached with three brass rivets. 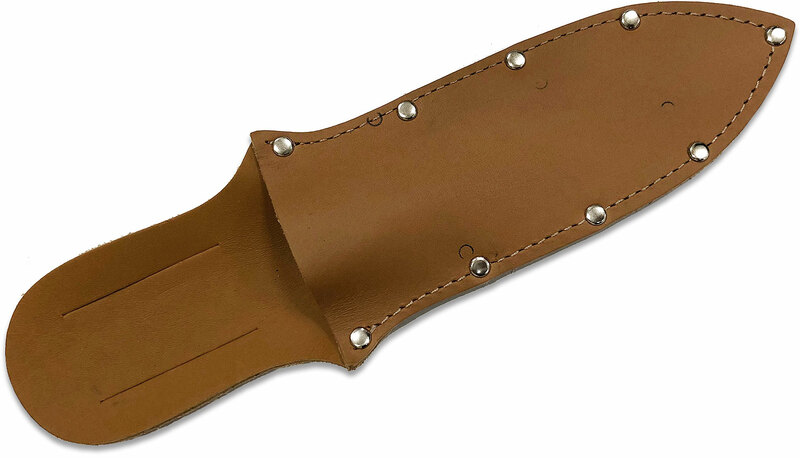 Top grain brown leather sheath included. There is not a better knife design in existence. I've never used a more comfortable knife. Stays sharp a long time, better than I thought it would. This really is the best all around kitchen knife I own. There isn't anything I can do with it, and it stays sharp enough for kitchen work for a couple weeks before I need to strop it. 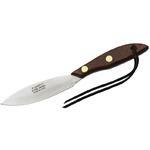 It slices roast beef into sandwich meat every bit as well as a filet knife, even though it's an eighth inch thick. I did use it to cut up the meat from an entire doe to put in the pressure canner, and we only stropped it once, but still we could've finished the job just fine without stropping. 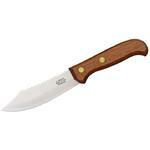 Glad to see this knife getting good reviews. 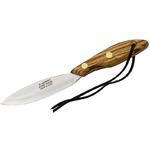 Hey, I wanted to share "R. Murphy Skinner Knife 4.25 inch 1095 Carbon Steel Blade, Zebrawood Handle, Brown Leather Sheath" with you from KnifeCenter.